Carpilius maculatus is probably the most prominent representative of her genus and easy to identify because of their large, red, nearly circular spots on the carapace. 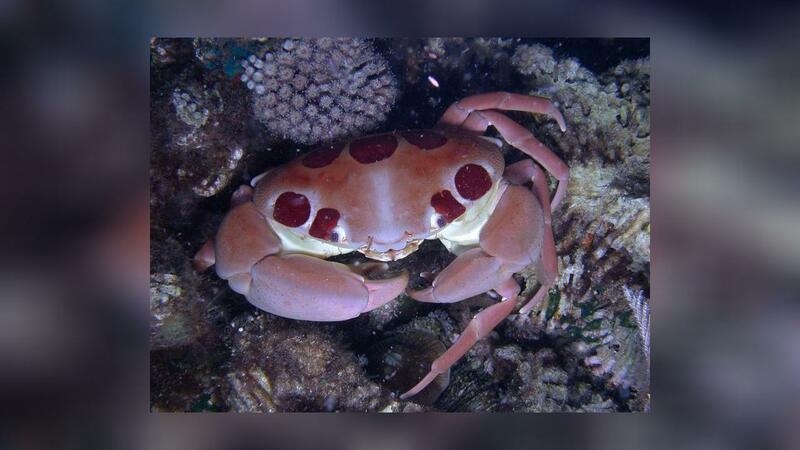 It belongs to the reef crabs and, although rarely offered on the East Asian markets (especially in Indonesia) as food. They are found in Western-Pacific from Indonesia to Micronesia, along the North and East Coast of Australia, Hawaii and French Polynesia. 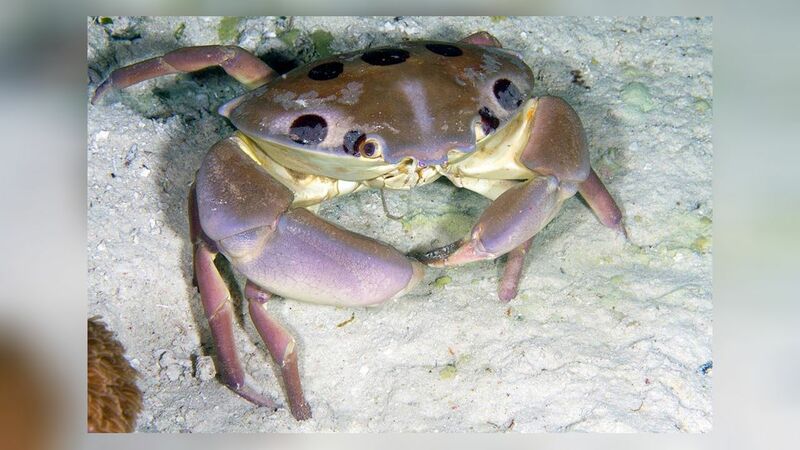 The carapace of this crab is Oval, the surface is smooth and convex. 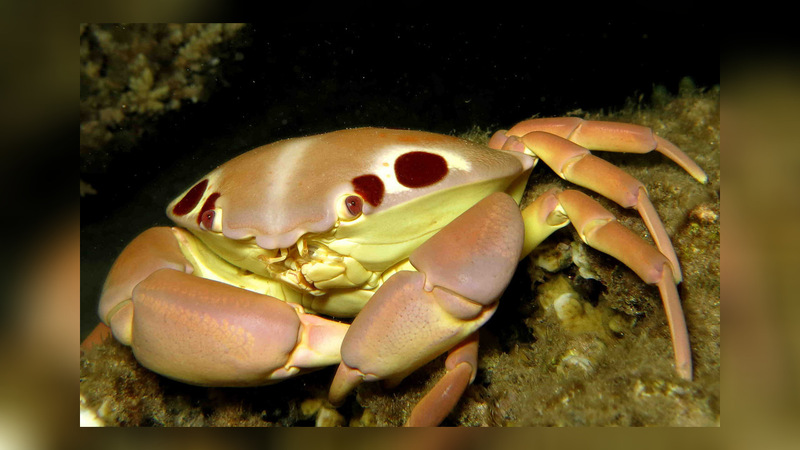 Their basic color is usually cream, often slightly purple with 9 large brown-red to purple spots. Three spots are always in the middle of carapace. There are reports that this species is poisonous, but so far it could also by biochemical tests have not been confirmed. 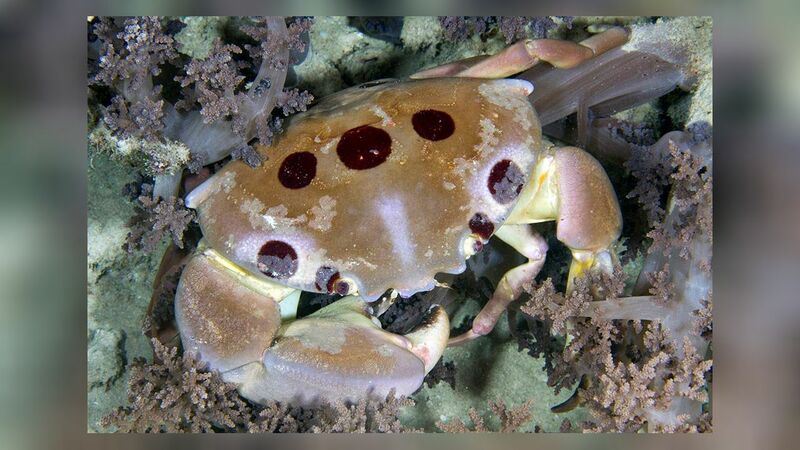 It is considered that the crab possible by eating of poisonous snails will also be toxic, but even this is not confirmed.